Take part in extreme snowmobile races across the limitless expanses of an Alpine glacier. Conquer challenging routes on 30 different runs, discover new snowmobiles, become the best of the best. 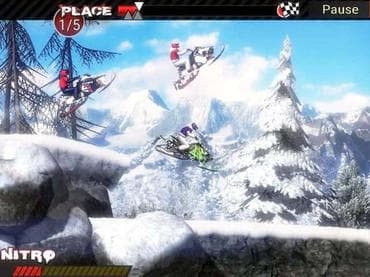 In this free game, fast descents and sharp ascents amid snow-covered mountains await the courageous racer. If you have questions about Snowmobile Extreme Racing game, please contact us using this form.